The Sun Belt champ may not have to play the second- and third-best teams in the conference. During every college football season, there are a select number of games that really shape the standings in each conference. The Sun Belt Conference is in an interesting position as it’s possible for the champion to win the conference without playing the second- and third-best teams in the league. Appalachian State has drawn a schedule that is void of both Arkansas State and Troy. The conference will debut a championship game in 2018, but will that be one season too later to escape controversy this year? 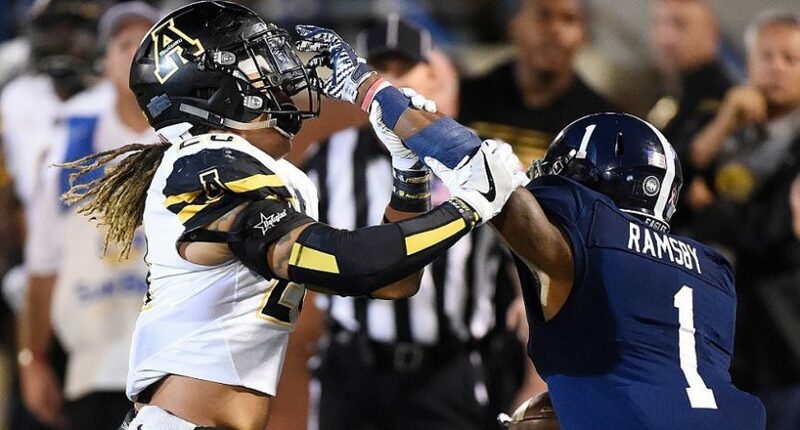 Appalachian State, Arkansas State and Troy look to be the cream of the crop in the conference, but there are several teams in the middle of the pack that could challenge for the championship. Here are the nine games that will decide who wins the Sun Belt Conference Championship this season. Georgia Southern took a big step back in 2016 under first year coach Tyson Summers. This will be a huge game in deciding if the Eagles will be back in 2017. Arkansas State won last year’s game by just one point and that was in Jonesboro. With home field advantage, this would be a great opportunity for Georgia Southern to spring an upset. New Mexico State was a lot better last year than most people expected and this year they will have more experience. This is one of the biggest games on a relatively easy conference schedule for Appalachian State. This game will show if the Aggies can be a contender and if the Mountaineers are the clear-cut favorite to win the conference. The Ragin Cajuns have been one of the best teams of the recent past in the Sun Belt, but they’ve been down during the past two years. Idaho had a tremendous resurgence last season under Paul Petrino and is looking to make waves in their final season in the FBS. This game will show which of these teams will be able to step up and be a contender in 2017. Since starting this series in 2012, Troy holds a 3-2 lead, but South Alabama has won two of the last three. Neal Brown and the Trojans made a huge turnaround last season. This will be a crucial game that will tell us which of these teams to keep an eye on. Arkansas State doesn’t play Appalachian State this season so it amplifies each game they play against projected upper division opponents. Because the Mountaineers play an easier schedule on paper, that means that the Red Wolves need to win every game they play. Last year, Arkansas State lost to Louisiana-Lafayette. In fact, they’ve lost three of the last four in this series. Since they started playing regularly in 2014, Georgia Southern has won all three games against Troy. The Trojans are projected to be on the rise again this year. If Troy wants to live up to their hype, they have to find a way to beat the Eagles. These two have a rivalry that really blossomed back in in 80s in the Division I-AA playoffs. Now that both are in the Sun Belt, the rivalry has new meaning. Appalachian State has had a firm hold on this series recently as they’ve won five of the last six. This is a great chance for the Eagles to play spoiler but the odds are against them based on recent results. This may be the toughest conference game for Appalachian State this season especially because it could be packed with pressure due to where it falls on the schedule. The Moutaineers have won all three meetings against the Cajuns including a 24-0 shutout last season. The Mountaineers have handled this series but funny things can happen in the final game of the season. All eyes could be on this game as it pits two of the top three projected teams in the conference. With the title potentially on line, this could be the de-facto conference championship game. If that’s the case, you might want to bet on the Red Wolves as they have a four game winning streak in this series including a 35-3 beatdown of the Trojans last season.